Cover art for the 1985 Penguin Books edition of Electronic Illusions by Ian Reinecke. Illustration by Peter Thorpe. 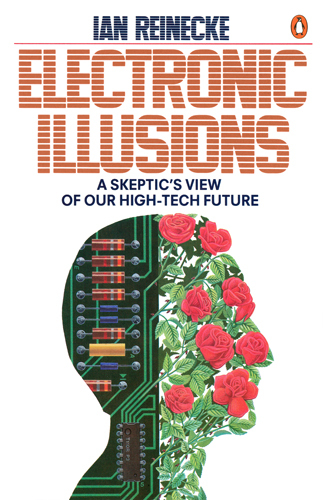 Cover of the 1985 Penguin Books edition of Electronic Illusions by Ian Reinecke. 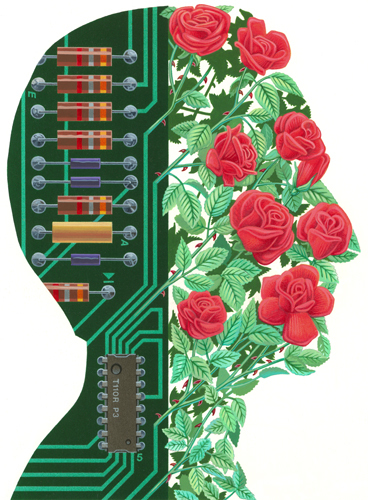 Illustration by Peter Thorpe. Electronic Illusions by Ian Reinecke was released by Penguin Books in 1985. Design Director: Neil Stuart. Design: Neil Stuart. Illustration: Peter Thorpe.